There was a time when public art in Taipei consisted only of monuments to former military leaders – these days however, you need only take a walk through Xinyi, Daan, or Zhongshan to find that Taiwan’s capital is now home to an incredibly diverse collection of public art. 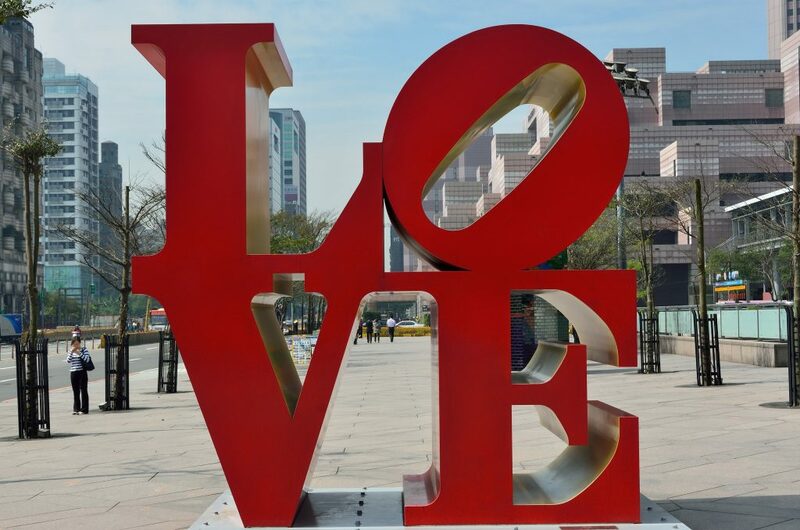 The love sign in front of Taipei 101 is perhaps one of the most photographed pieces of public art in Taiwan, if not Asia. Everyone who visits the building poses for a photo with this message of happiness. 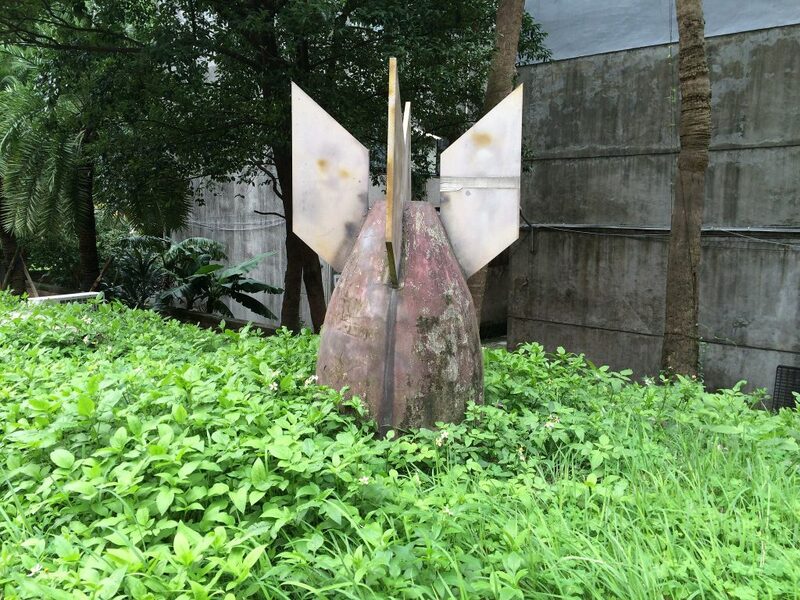 Located on a grass-topped wall in National Taiwan University of Education, this bomb artwork is one of many – they are quite a surreal find on the university campus. 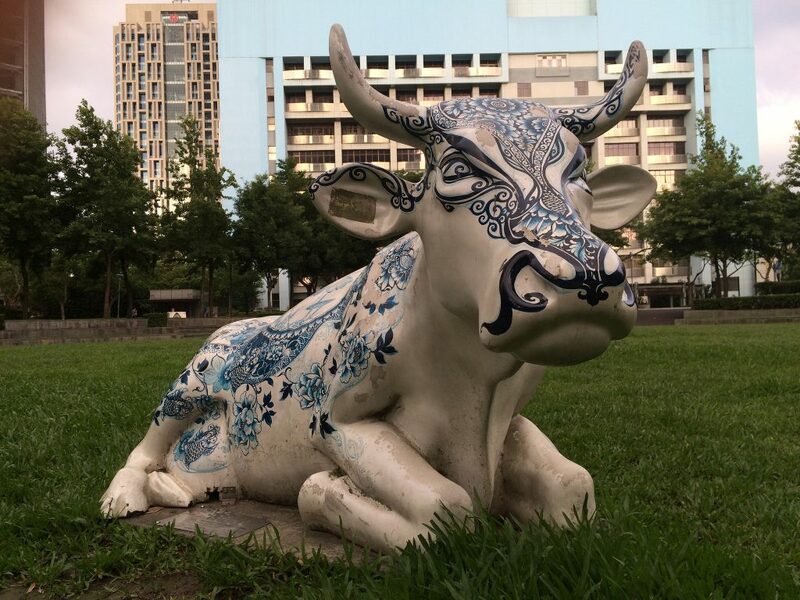 Just a short walk from the Love sign you’ll find this rather interesting cow art in Xinyi Plaza. Like the bomb artwork, it’s another piece that is missing from the city’s listing of public artwork. Still in the Taipei 101 area, you’ll find this modern take on a traditional fountain. It was designed to fit in with its modern surroundings and is another often photographed piece. 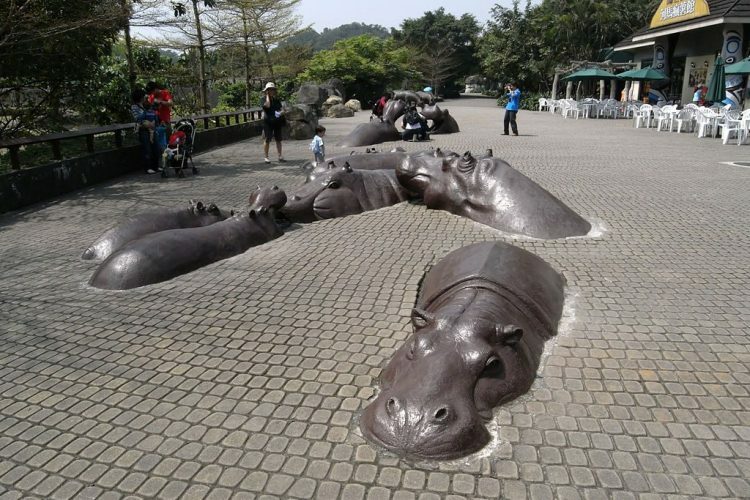 One of many sculptures and pieces of public art found in Taipei City Zoo, Hippo Square is a very popular spot especially with young kids who can crawl all over the sculptures and even sit in their mouths. Commuters on Taipei’s MRT network are spoiled with many pieces of public art in or near the stations – but perhaps the most striking of all is Huang Hsin-Chien’s The Moment We Meet. At first glance it looks something like a giant TV wall or a simple advertising poster, but is in fact an installation of hundreds of photos that form a person’s face. As the photos flip, so too does the face. The installation at Taipei 101‘s MRT Station isn’t surprising, given that the city’s efforts to bring as much public art into the capital happened to coincide with the construction of the public transport network. Therefore you’ll find quite a lot of public art both in and around many of the city’s MRT stations. But the best area to find a wide variety of works within walking distance of each other is still the ever-popular Xinyi district. In fact, if you take a stroll down the streets surrounding Taipei 101 and the Taipei World Trade Center, you will come across much of the city’s most popular and impressive works of public art.